Comfort, versatility, and fit have always been important to me when it comes to clothes. I HATE being uncomfortable in my clothes. I feel like I have won the lottery if something can be worn multiple ways. And if the fit is off that is a definite NO because I will obsess and think about it the whole time I am wearing it, which is just not worth the emotional turmoil, no matter how cute or on trend it is! When Sympli reached out to me and asked if I would be interested in trying a few of their pieces I, being the Librarian that I am, of course did my research. I have been making a huge shift in the way I think about fashion lately as I have started learning more and more about ethical fashion and the issues surrounding this topic. I was so thrilled when I read about Sympli’s process on making clothes. There is no mystery on how or where their pieces are made and they cut no corners when it comes to fit, comfort, and quality. They understand that no two bodies are the same. They don’t just scale up and down, but shape each of their styles for each size. This specialized approach guarantees a perfect fit, for each of their pieces, every time! They have a full range of regular and plus sizes! I spent a few months wearing and styling the pieces I picked. I wanted to really spend some time actually wearing the pieces and deciding for myself if they were something I would recommend to others…….AND…. THEY ARE!!! 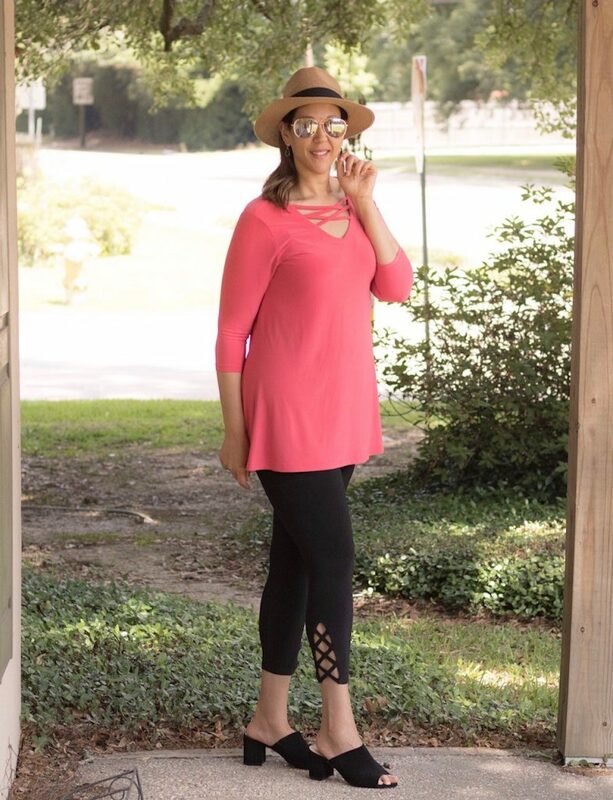 The pieces are comfortable, versatile, and the fit is unreal! Hugs all the right places, hides all the wrong ones! WIN-WIN! I also really, really, really liked knowing where and how these pieces were made. It made me feel a sense of connection to the outfit and I liked that feeling, ALOT! 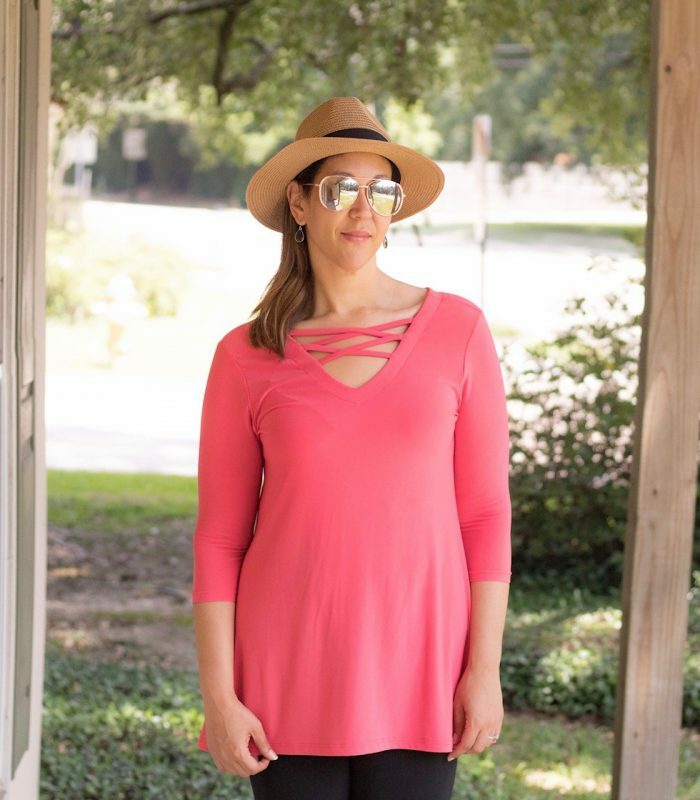 Sympli says their clothes are “Designed with purpose, crafted with heart.” After trying their clothes I can say I believe them and encourage you to put their motto to the test yourself. It really is style that looks as good as it feels! Love that the tunic is reversible! The zig-zag detail is my favorite!